I’ve never been one to use bright coloured eyeshadow. Always opting to stick to the safer side of things and go for neutral shades. However more and more I am seeing people create beautiful and wearable looks using colourful shadows. I was intrigued, maybe I could actually use bright coloured shadows and not look like a clown. Enter the new EYN collection by Beauty Bay. EYN stands for “everything you need”. Its a collection developed by the Beauty Bay team that embraces a range of different types of shadows but is also massively affordable. 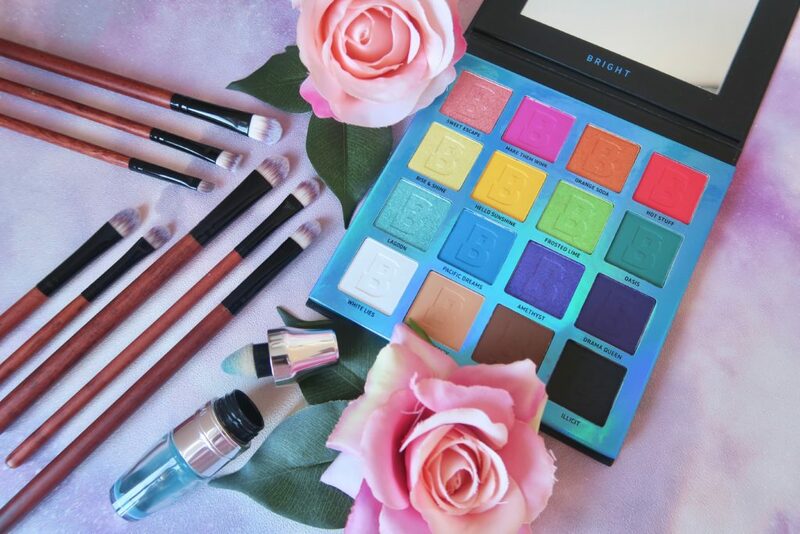 The brights collection has 4 different palette options ranging from £8 to £12. The palettes combine matte and shimmer shade options. I opted for the 16 shade brights colour palette. I felt this gave me the biggest range of options to play with and it is priced at £12. There was a definite difference in pigment between the shimmer and matte shades. I found some of the shimmers did lack a bit when it came to pay off. With shades “sweet escape” a pale pink and “rise and shine” a pastel yellow being the main culprits. The mattes were very pigmented and I couldn’t fault them shade “make them wink” and “pacific dreams” were two standout performers here. The shades were surprisingly easy to blend. 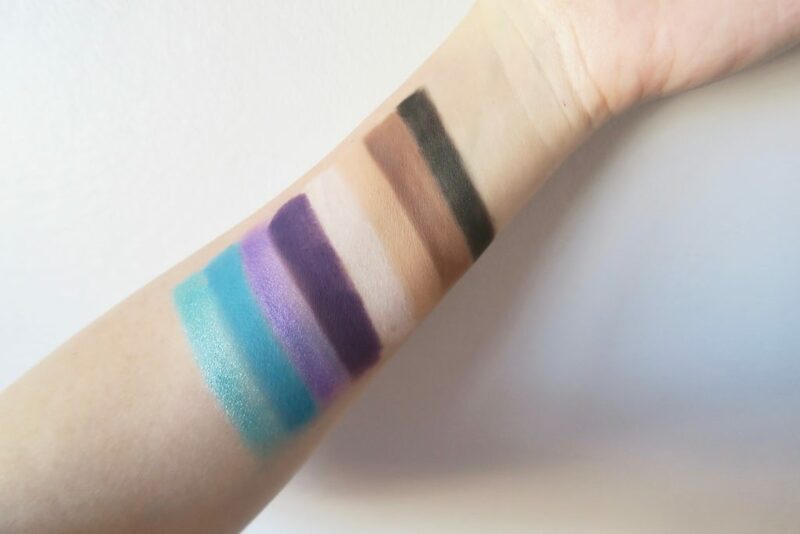 Often cheaper eyeshadows can be a chalky and meh but these were very easy to work with. One thing I would note is that some of the shades did stain the eye area slightly. The pink “make them wink” in particular was difficult to remove. I did experience some fallout when using the palette. More so from using the matte shades. It wasn’t too much of an issue as it could be dusted away easily enough and as mentioned the colour payout from many of the shadows was excellent. Overall I think this palette is great value. You get 16 shades in a varied colour range and its an excellent place to start if you are experimenting with bright colours. I found the shadows lasted well on the lid and didn’t budge once applied. I’d recommend this to anyone looking to get started with brights just like me! For only £12 you can’t really complain. 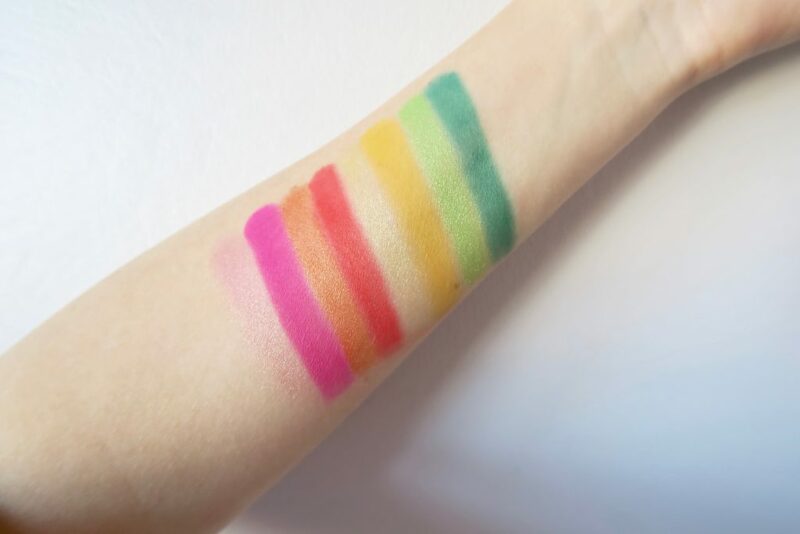 Check out the Beauty Bay EYN brights range and the different palette options here.